One of the great movie-going experiences in quite a while occurred for the lucky ones who attended the world premiere screenings of "Halloween" last month during the 43rd annual Toronto International Film Festival. Alone in the dark: Myers eerily engages Toronto. Not only did most of the cast, including Jamie Lee Curtis and Judy Greer, and filmmakers such as writer/director David Gordon Green and co-screenwriter Danny McBride, show up to clown around briefly before each one of two sold-out festival "Midnight Madness" showings, but so did serial killer extraordinaire Michael Myers. After the celebs left the stage and the theater lights went down, a dark visage seemed to appear out of thin air as the movie began to flicker behind it. Of course, it was the ever-masked Myers himself, staring at an audience going absolutely bonkers as he slowly walked toward the curtains in the wings. Even more shocking, though, was the madman's nifty return almost two hours later. 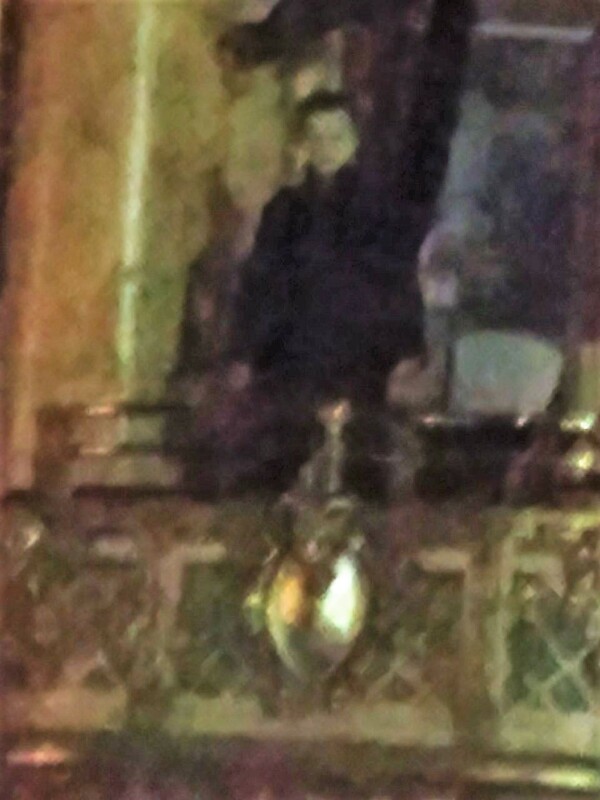 This time, as the end credits rolled, Myers could be seen from a shadowy corner of the ancient Elgin Theater balcony simply glaring down at his fellow crazies, who really couldn't believe they were witnessing such a masterfully creepy stunt. Certainly, those eager to be among the first kids on the block to see another chapter of the franchise that John Carpenter began exactly 40 years ago with the original "Halloween," reacted with equal enthusiasm to the latest film, a legitimate hoot that's destined to re-energize the long-running slasher genre. Surprisingly perhaps, it's a real dazzler -- from another terrifically startling score by Carpenter himself, to Myers' escape from an asylum (complete with a seemingly suitable homage to characters from the unrelated, Oscar-winning "One Flew Over the Cuckoo's Nest"), and a smashing return by Curtis, as a tough-as-nails Grandma Laurie Strode, looking for revenge on not-so-sweet Michael for what happened four decades ago. one-man march to stop trick-or-treating in the town of Haddonfield, Ill.